What printer should I buy? A short how-to document on what printer is right for you. What type of printer should I buy? We have been hearing this question from our customers since 1982 when we first opened our doors. Over those many years of selling and servicing printers, we have built up an extensive knowledge of what printer qualities are good and what are not. In this article, I will try to explain what printers are available for home, small office, and large office use. Along with the types of printers, you'll find some common sense opinions that usually comes with years of experience. If you have a question or a suggestion, please use the Contact Us link, above. Inkjet printers are the most basic type of printer currently available today. These are the printers that you typically see being sold in local stores like Walmart, Bestbuy, or Office Depot. They are very cheap to purchase but cost a fortune to operate. If you print more than just a few pages a week, you really should consider a laser printer or LED printer instead. This is because the consumable prices for inkjets will cost so much that you could have bought a better printer with the savings in consumables alone. Another thing that you should know about inkjet printers is that they are throw-away devices. They are not supported by the manufacturers thus no repair parts are made and because of the way they are put together, they can't be repaired anyhow as the technician would have to destroy the printer just to open it open for repairs. Additionally, the plastic that these printers are made from is not easily recyclable as they are mostly made from ABS plastic. To recycle ABS plastic, so much caustic chemicals has to be used that it's not usually feasible. 1. 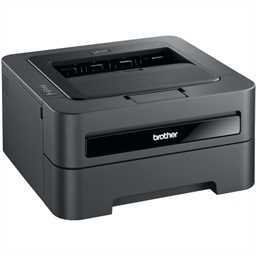 Laser printer: As it's name suggests, it uses a laser to form the image on the paper. It actually uses a laser mounted on the end of a rotating shaft connected to motor. The laser beam hits a mirror that directs the laser beam down on the paper and the toner is deposited in the correct place on the paper. The fuser then fuses or heats this metallic toner onto the paper making it permanent. Almost every printer manufacturer makes laser printers. When purchasing look at the price of consumables before choosing any particular printer! 2. LED printers: A LED printer is almost exactly like a laser printer except that it uses LED's instead of a laser. LED printers do not move like on a laser printer. The LED assembly is on a bar that spans completely from left to right inside the printer. It is made up of thousands of LED's that are activated when needed to perform the same task as the laser printer, above. LED printers were pioneered by Oki Data and Oki is still the largest producer of LED printers. We highly suggest you take a look at Oki printers. 3. 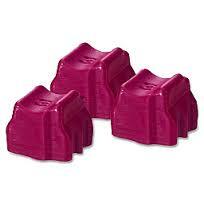 Sold Ink printers: Xerox has designed a printer that uses a block of solid ink that looks like a block of colored wax. Inside the printer, the "wax" is melted and through a proprietary process the ink is deposited on the paper. No fuser is required. Pages printed on one of these Xerox printers looks amazing. It's almost like the paper was printed in 3D as you can actually see and feel the "thickness" of the ink on the paper. 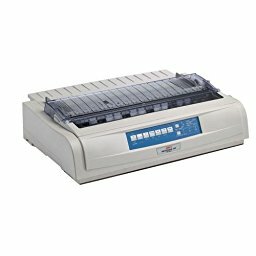 Dot matrix printers are also called impact printers because they have a print head that shoots pins at a ribbon and then strike the paper. Dot matrix printers are commonly used where carbon copies are required. Dot matrix printers print a character at a time but are quite fast. There are also impact printers available that will print a line at a time but these line printers are not commonly used in a home or small business environment. You will usually see dot matrix printers in auto parts stores, car dealerships, retail stores and many other places. These printers were one of the first printers available to the average person and many people think they are no longer used or needed but that is not true. Dot matrix printers are still one of the best printers available. I bet you received a water bill this month and never even realized that it was printed on a dot matrix printer. Because our civilization requires copies, we probably will always be using dot matrix printers. A subset or sub style of printers are multifunction printers (MFP). As it's name suggests, a multifunction printer can perform more than just printing. Most MFP printers can print, copy, scan, and possibly fax. An MFP printer can be an inkjet, a laser, or an LED printer. There are MFP printers that are mono and there are multifunction printers that are color. We suggest a color MFP printer for reasons detailed below. MFP printers have basically replaced the familiar copier that most offices used to use. Compared to a copier, the multifunction printers are cheaper to purchase, cheaper to operate, faster, and way more versatile. For instance, with a MFP you can put a sheet or even a whole document in the top and it can scan all of the pages, create a PDF file for you, and sent that PDF file to you or your customer or somewhere on your network. The first time our customers see this in action it's almost unbelievable. They never use a copier again! When multifunction printers first appeared on the market they were not particularly good at doing any one of their functions - they were not great printers, not great scanners, not great copiers, etc. That has changed big time. The current line of MFP printers are exceptional well suited for any of their functions. Sure, there are special purpose scanners that can scan a zillion sheets per sec, etc, but for general purpose home, small office, and large office use, a multifunction printer is great. Most small to large offices will still use mostly mono (non color) printers and then provide an MFP printer here and there throughout their organization. This keeps the consumable prices down significantly as common laser printers are very cheap to operate. Ink is liquid and it's used in inkjet printers. The biggest problem with liquid is that it dries up and this is, in fact, the worse problem with inkjet printers. That's not exactly correct actually because the biggest problem with inkjets is the price of the ink which can be obscene. Another problem with ink in inkjet printers is that during the process of printing there is always more ink used for cleaning etc and that ink goes into a waste area in the printer. That waste area is usually just an area in the bottom of the printer that's filled with a foam-like sponge and the sponge gets filled with ink eventually at which time you need a new printer. 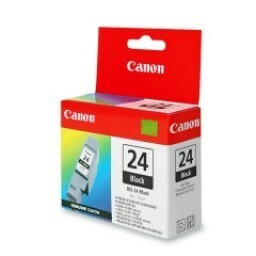 Ink that most inkjet printers use should cost maybe a dollar or two per cartridge but companies like HP and others charge $30, $40, or more and because there is very little ink in those cartridges, you'll probably need a new cartridge every week or less. 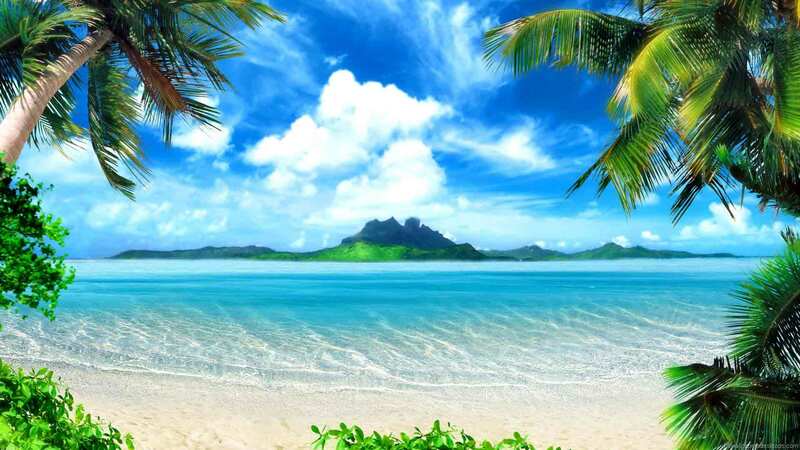 Toner is a powder usually made of micro fine particles of metal or metalized polymers. It is used in laser and LED printers. Toner does not dry up like ink does thus it could stay in your printer for years or even decades and not go away. Toner is much, much cheaper than ink mainly because of the inkjet business model that printer companies have adopted, ie, giving the printer away for way less that it's cost to manufacture then trying to get their money back on the ink. Some laser printer companies try this same tactic so we advise to always research consumable prices before buying a printer. There is a safety issue with toner in that you do not want to breath it or get it into your lungs in any way or in any amount. For this reason, we do not suggest that you use air to blow out excess toner from inside of your printer. Nor can you use a normal vacuum cleaner unless the vacuum cleaner has a HEPPA filter system as the toner is so fine that it will go right through the vacuum cleaner and fog the room with micro fine toner. If your printer needs to be cleaned, please call a qualified tech just to be safe. Ribbons are used in dot matrix printers. I think most people have seen these cartridges in old typewriters. The important thing to say about ribbons is that they are not only filled with ink but that ink has mixed with it oil that is used to lubricate the printhead. The clone ribbons available today don't have that oil and thus will eventually cause your printhead to wear out. Also, the clone ribbons are much more prone to jamming and on many printers like the Oki dot matrix printer, that will cause your space motor to fail and that's a huge cost in an effort to save a few pennies. Solid ink is not really ink as we usually think of ink as it is solid instead of liquid. The biggest issue with solid ink is that if the printer has been plugged in and someone physically moves the printer before the ink has solified again, the liquified ink could spill everwhere inside the printer. This may result in the printer not ever being usable again but at the minimum, a very costly repair. If you have a Xerox solid ink printer make sure you observe their ink guidlines. Where should I buy a printer? Our opinion is that you should buy a printer locally if possible. Buying printers and everything else from the likes of Amazon, etc has about destroyed the local computer shops that support their community and provide jobs for people. How much is Amazon supporting your community? With that said, as a local computer company, CompuDirect has to survive like all other small companies so we also sell on Amazon and eBay. Without selling online we put our business and our employees jobs in jeopardy. If you are inclined to buy online please give our business a try. We have our own store for printers. It's called Printermalls.com. 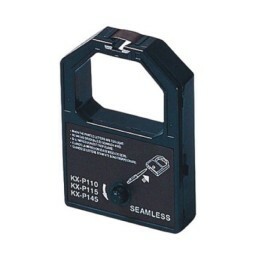 On Amazon we do business as printermalls and on eBay as D4LLC. Because Amazon's seller rates are much higher than eBay's, your price will usually be better on eBay so be sure to check all three places. The only issue with eBay is that they will not let us list more than about 10,000 items and on Amazon we sell about 50,000 or more items. Our prices are competitive with anyone, anywhere! We are direct with most printer manufacturers and can ship any quantity to most places on the planet.